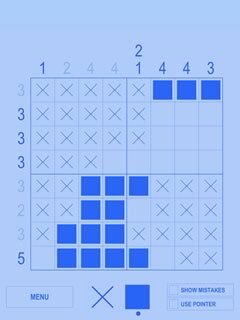 Do you love Nonograms, but are sick of apps with a limited number of puzzles and strange rules for 'buying' new ones? 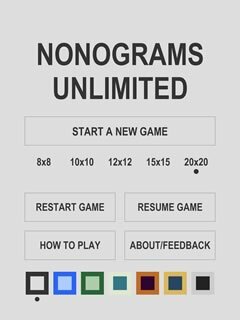 With Nonograms Unlimited, you can play as many puzzles as you like, as often as you like. There are no in-app purchases, nor is there any limit on when and how often you can play. 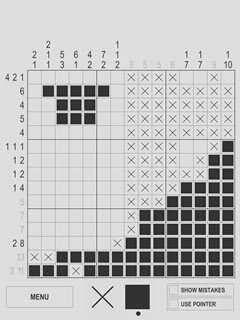 Choose from 8x8, 10x10, 12x12, 15x15 or 20x20 puzzles generated to be challenging, but not frustrating. 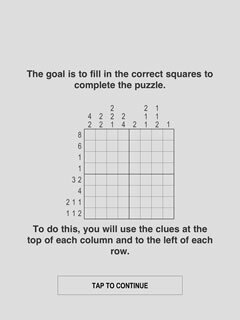 These puzzles are the perfect coffee break for your mind. The simple game design in this app makes it easy to mark up the grid. You can also choose between seven different color schemes. There is a mode that will show your mistakes, which is great for learning and also when you want to figure out where you went wrong. 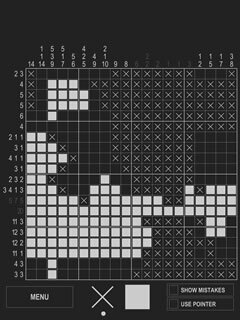 There is also a special pointer mode to make it possible to play 20x20 puzzles even on a small screen.